American soprano Eileen Farrell could sing almost anything and everything. As an opera singer she could compete with the greatest, but her appearances in complete opera are distressingly few. This superb Santuzza is her very last Met broadcast. 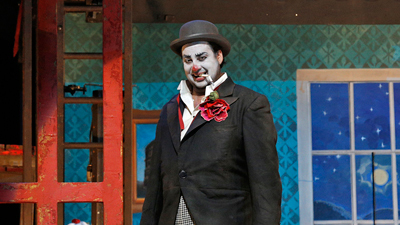 Richard Tucker is the faithless Turiddu. The other half of the double bill features an incandescent Franco Corelli in his only Met broadcast of one of the best known of all tenor roles, Canio, the actor forced to play the clown on stage while his heart is breaking.